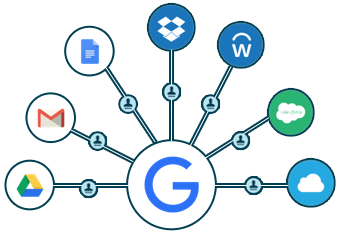 In the current state of the IT landscape, G Suite (formerly known as Google Apps for Work) has completely infiltrated an employee’s workflow. It enables workers to collaborate on projects seamlessly, at any time, and from any location. The ability of G Suite to help businesses with productivity and ease of access has become an invaluable tool, and all that is really necessary for the end user is a simple identity in the cloud. Things begin to become more complicated though when you combine this identity with the rest of the tools an end user needs. With Macs, SaaS-based applications, and cloud infrastructure, IT all of a sudden has an overwhelming amount of identities to manage. This creates an identity crisis of sorts for admins. The IT resources and employees work is located all over the cloud, but the directory service to manage it all (usually Microsoft Active Directory®) is located on-premises. This disconnect can make the management of users much more difficult. With multiple identities located all over the cloud, but no means to manage cloud identities, organizations have begun searching for a solution. 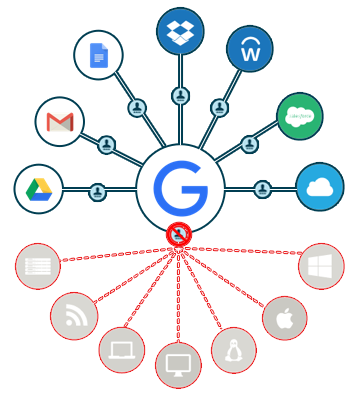 One such solution that organizations have started to wonder about is if they can use G Suite identity services as the core identity store of their business. Or, said another way, can G Suite identities be the core identities within an organization and cut across providers, platforms, and location. Fortunately, in the modern office, this is something that you can do. This functionality gave IT admins a new route to managing their cloud identities, and simplified the IT work life tremendously. 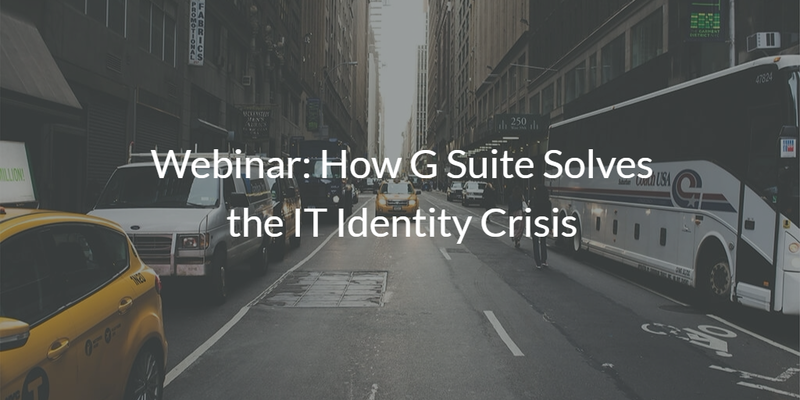 Watch the webinar The Modern Office: How G Suite Solves the IT Identity Crisis above! You can also find a corresponding ebook here.